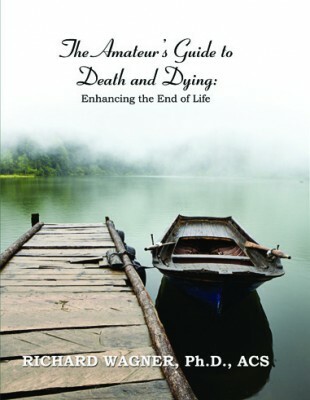 I’d like to share with you a wonderful review of The Amateur’s Guide To Death and Dying; Enhancing the End of Life posted this morning on Bill’s ‘Faith Matters’ Blog. Thank you, Bill! Bill Tammeus, the author of the blog, is the former Faith section columnist for The Kansas City Star. He came to The Star in 1970 as a reporter, spent nearly 27 years on the paper’s editorial page and then moved his column in March 2004 to the weekly Faith section. He took formal retirement in mid-2006 but continued as Faith section columnist on a freelance basis until mid-November 2008. In addition to this daily blog, Bill writes columns for The Presbyterian Outlook and the online edition of the National Catholic Reporter. In America’s death-denying culture, the reality that death awaits all of us seems to sneak up on lots of people and catch them off guard. And yet, as I have insisted to readers over and over for decades, if you don’t understand your own death you’ll never understand your own life. What I bring you today is some remarkable help in exactly that — understanding your own death. It’s a new book (well, workbook might be a better term) called The Amateur’s Guide to Death and Dying: Enhancing the End of Life, by Richard Wagner. Wagner. a former Catholic priest, is a psychotherapist who founded and now is executive director of PARADIGM Programs, Inc., a nonprofit that works to help people with end-of-life matters. What Wagner does in this book is walk readers through the experience of being part of a group for 10 weeks, discussing death and dying for two hours at a time. Now, of course, readers aren’t physically with the composite characters (meaning fictional but based on reality) of Jan, Michael, Holly, Raymond, Clare, Kevin, Max, Mia, Raul and Robin as they talk about their own situations. But after a time readers will feel as if they know them quite well and have compassion for what each of them is going through. Wagner also brings experts to the group meetings to deal with various subjects related to death and dying. I thought his chapter on spirituality and religion was quite helpful. The discussion was led by the Rev. David Pattee, who is not a composite character at all but a Unitarian-Universalist pastor. As you might expect, Wagner has the composite characters in this discussion be from all over the lot when it comes to religious experience. Some are detached from any faith commitment, others are angry at God, others rely on faith to get them through each day. Somewhere in the midst of all that readers may well find themselves and find some help in grasping how various religious traditions deal with death and dying. Facing our own mortality can be a sobering and jarring experience, but it’s something each of us must do if we hope to bring our life to any kind of coherent conclusion. I see Wagner’s book as an excellent tool to help people of all ages with that task. I could see this book being used in various faith communities as a study guide for small groups led by competent lay leaders or clergy. And the time to engage in this sort of facing-death discipline is well before you think you need it.